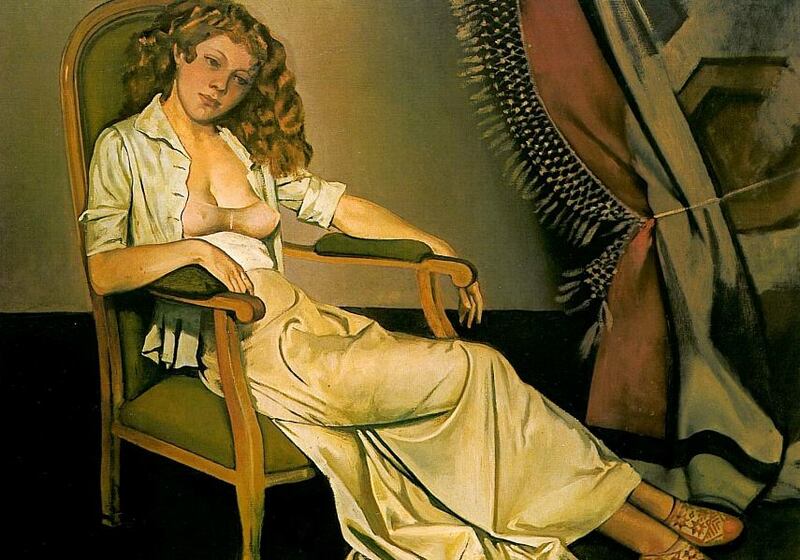 "Balthus" originally appeared in the The Pure No Nonsense No. 1, in 2007. Enjoy. If we see sexuality in this rendition of a pensive child, it is our problem. Of the way that the child flashes her bare thighs at an alluring angle and flaunts her underwear-covered labia, that’s how little girls sit. Where obscurity remains, it is the sort that requires submission, not clarification. Little girls are familiar, a universal theme. Additionally, they often dress in interesting ways. His attraction to little girls was no deeper than that. If their knickers show, it is because little girls often sit in a position in which their knickers show, not because he was lusting for them or wanted his viewers to. This error should not be seen as an innocent mistake. It was inspired by the human craving for gossip, the same attractive motive that makes people act as if he has a thing for little girls. There is after all, in the subject matter something that goes beyond mere communication. The subject matter in emotional terms is manifestly a matter of life and death to him. Reality, exactly. My childhood was wonderful. I had a wonderful childhood.